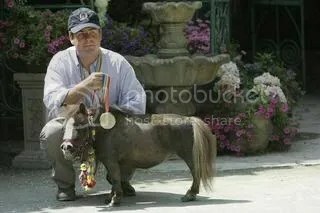 Thumbelina, the world’s smallest horse, was in New York City recently receiving honours for her charity work. Owner Michael Goessling is touring America with her to raise money for the Thumbelina Foundation, which raises money and awareness for children around the world. Link Watch a short video of her here. The truth about ring crews?